It is easy and effective for cleaning the brush. The annoying washing process can be made very simple and efficient. Any degree of difficulty of brush cleaning will be resolved for good. Made of food-grade silicone, numerous intensive cleaning brush hairs on two sides,nowhere to hide stains. Flexible and strong, you can use it to wash fruit and dishes. Available Color:Green, Blue, Red, Orange. 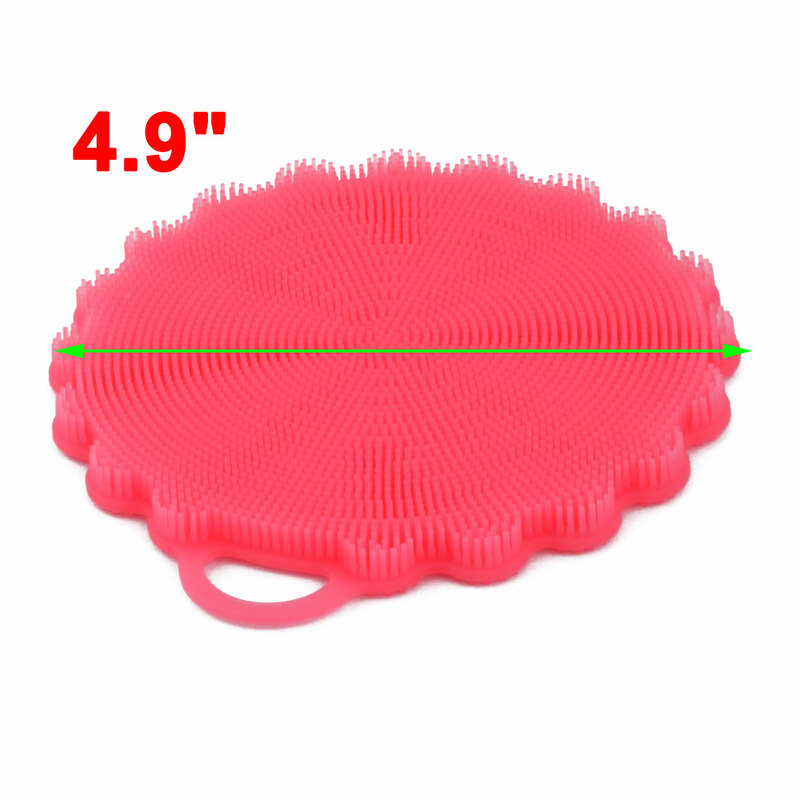 Silicone cleaning brushes do not absorb water, unlike other sponge. Silicone dish washing brush is soft, excellent for cleaning apple, potato, fresh mushrooms, or any other delicate vegetables and fruits. The silicone cleaning scrubber is flexible, unbreakable and no deformation, can be reused for long time. A good kitchen helper.